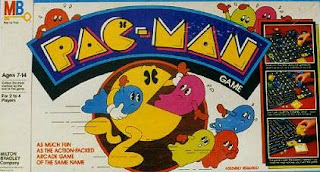 What was it about the 1980s toys that every toy required a Milton Bradley or Parker Brothers board game to go along with it? I vaguely recall owning the E.T. and Cabbage Patch board games. I'm quite sure both were on my Christmas list ... Did any of you have the following board games? Do you even remember these games? Both board games were released by Milton Bradley in 1982 to try to "Bring the video game to the table!" definitely not as exciting as the video games though. 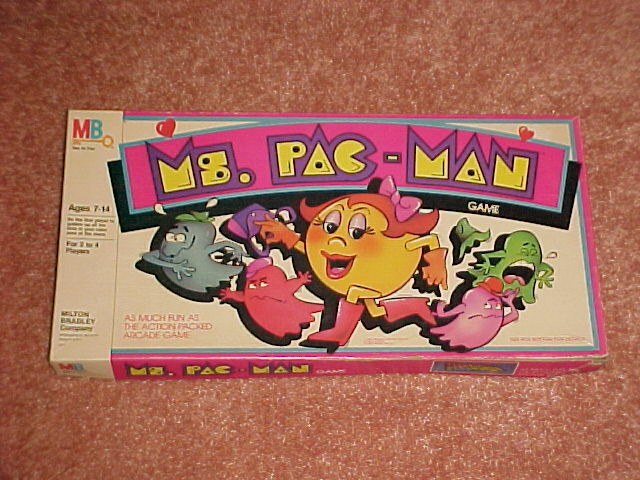 Ms. Pac-Man and Pac-Man board games are available on eBay ranging from $10-$20 depending on their condition. Milton Bradley released this fun-filled match game in 1984 during the height of the Cabbage Patch Kids craze. The idea was to match up as many Cabbage Patch Kids (they popped up) before the timer went off. "In this game, you must help rescue the kids from the clutches of Cabbage Jack. The delightful Bunny Bees will help you lead the kids to safety. And finally Colonel Casey, the kindly old stork, will help you bring the kids home. Collect 4 kids, each with a different color hair, or all the same color, and you're the winner." 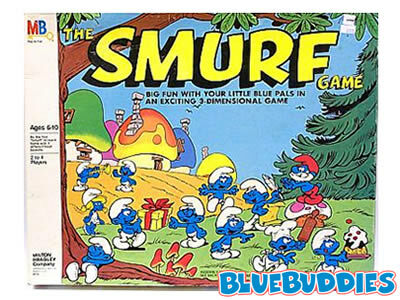 First released by Milton Bradely in 1981, the above Smurf board game is available at $16.99 on Ecrater.com and makes a great gift for Smurf fans everywhere. My younger brother was a fan of the A-Team, I personally was not. This Parker Brothers board game was hot in 1984 and looks just as silly as the show. More information is available at BoardGameGeek.com. I love(d) E.T. so very much. We even have an E.T. movie poster hanging over our bed. I couldn't get enough of E.T. as a kid -- read more about it here. 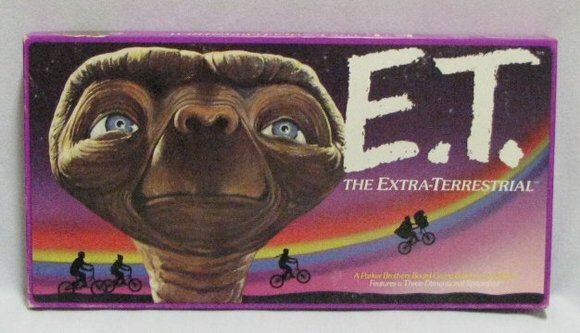 You can bet your bippie that in 1982, the E.T. Board Game by Parker Brothers was on my holiday wish list. Today this game goes from $10-$175 depending on its overall condition. 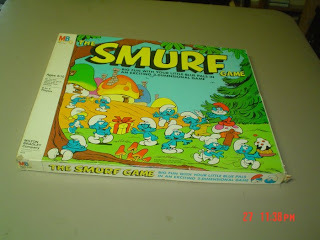 One of my friends had the Smurf game. I think my brother had the A-Team. It's funny that they turned everything into a board game back then cause now they're turning all the board games into movies. We used to call them "junk" games! Not only weren't most of them very good, I remember the boxes falling apart very quickly! 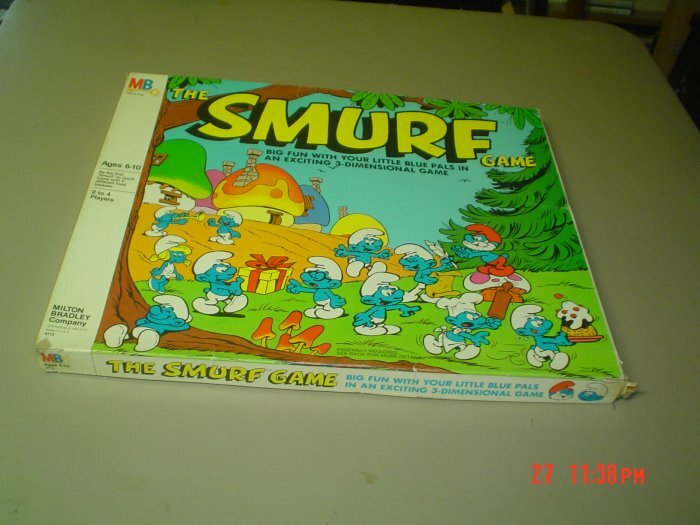 I never had one of these games. What the heck was wrong with my parents? Pat is right, definite "junk" games. Well - these were a little past my day... never played any of them. I think that Life and Monopoly were my favorite board games. Still like to pay these. How do I not remember any of these. 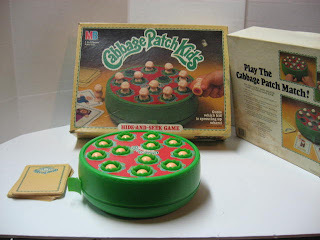 I vaguely remember the cabbage patch game though. This 90s kid still has her Polly Pocket and Treasure Trolls board games. I still desperately want the Baby-Sitters Club board game. In case no one figured out that I love me some BSC. I don't really remember any of these but it was fun seeing them here. Monopoly and Clue were always our favs when we were kids. Never had any of them…we did, however have Sorry! as well as Candyland. Ioved those games. 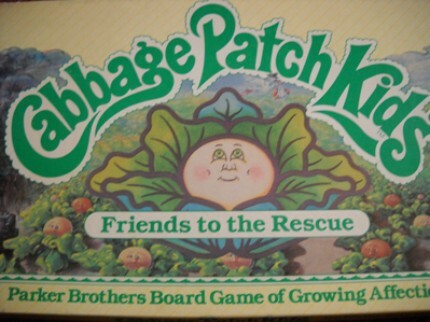 I had the Cabbage Patch Kid board game and we would use the hide and seek one in speech class - we would have to say the kids' names after we picked them up!! I loved that cabbage patch hide and seek game.. I would play that for hours lol!! I had that Cabbage Patch game. My grandmother bought my brother and I our first Cabbage Patch kids. I got a little white blond girl named Lisa Ina. I can't believe I remember that. My brother got a little black boy in a pink cordouroy suit named Seth Morey! Do you remember those clingy boards? 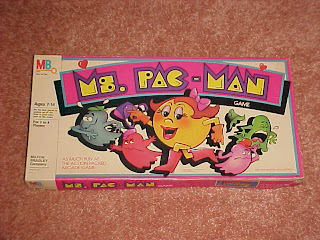 They were a background they came with plastic characters that you could arrange however you wanted. I loved those. I wish I remember what they were called. 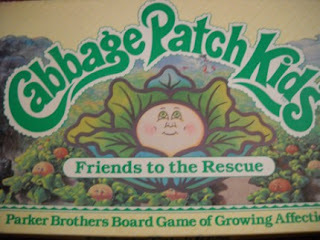 I still have my Cabbage Patch Kids board game! I hesitate to give it up because it was one of my favorite games as a kid. I have that, a Care Bears board game, and several others.